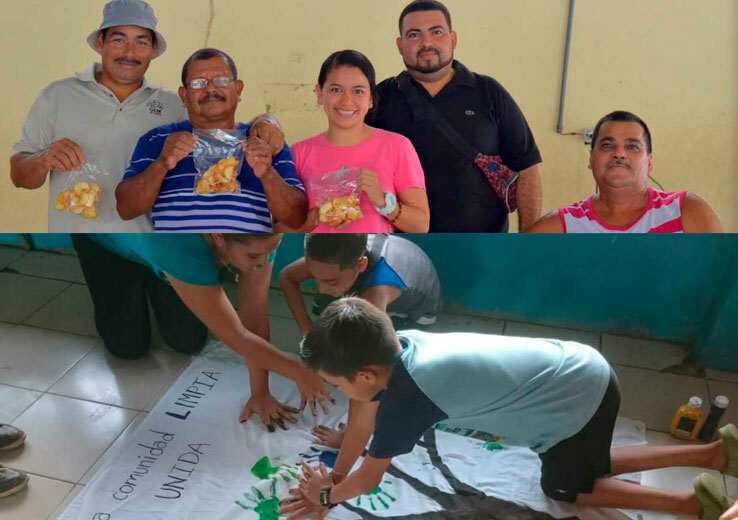 The Community Development Program (PDC) is a learning platform that promotes the exchange of knowledge between students and communities, contributing to the development of skills and attitudes in students to become agents of change capable of participating and developing projects that improve the quality of life in rural communities of Costa Rica. In addition, hundreds of families of small-scale producers have participated in training processes and workshops exchanging knowledge in order to increase their income, improve their nutrition, family health and more. The PDC promotes the academic development of the students through strategies of connection with different communities. The students, teachers and managers of the PDC participate in a wide range of activities to promote capacity building and share knowledge with farmers, families, youth and children in the communities. Different topics are worked on such as sustainable agriculture, natural resource management, rural entrepreneurship, food security and environmental awareness. The PDC serves as a platform for the academy to develop participatory research, knowledge exchange and extension projects based on the needs and priorities identified by the communities. Sustainable Agricultural Development: we work on the promotion of good agricultural and livestock practices, design of integrated farms, renewable energies, adequate waste management and environmental education. Community Social Projects: working in collaboration with schools, projects are developed for organizational strengthening, community food security and community history. Entrepreneurship and added value: the development of a business mentality and processes of transformation of raw material is promoted. In addition, knowledge is shared on issues such as the development of agricultural business plans, administrative-accounting processes, commercialization and marketing of rural microenterprises.